On Sunday, Paul Willmott shared with us an amazing opportunity we have to bless the children of Hawbush Primary School this Easter. 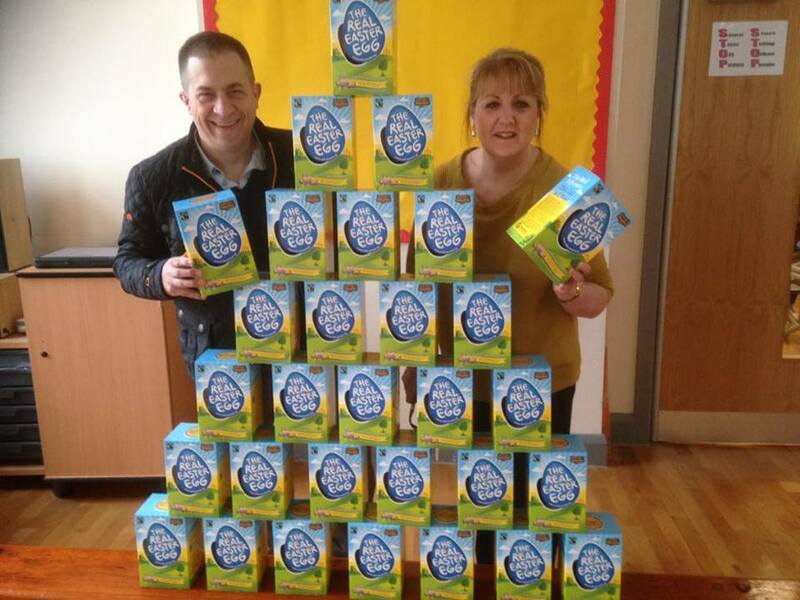 We would like to give each child a ‘Real Easter Egg’ at one of Paul’s assemblies. These chocolate Easter eggs are Fairtrade, the packaging is completely plastic free and most importantly they contain a small 24 page activity-story booklet with the message of Jesus’ death and resurrection. Throughout the year we work with the children of Hawbush Primary school through Paul’s assemblies, through mentoring with TLG (Transforming Lives for Good), with our Family Afternoons held at the Hawbush Community Gardens, and other opportunities we have. We believe God is doing something powerful and we want to join with Him to serve the children, families and teachers connected to this School. Please partner with us by giving to support the purchasing of over 200 eggs. And please pray that through these booklets, through Paul’s assemblies, through our family afternoons, TLG and any other opportunities we have, that God will move in this School and across the Hawbush estate. If you would like to give directly, you can use the bank transfer details below, please mark your gift with ‘Hawbush Easter Eggs’ to ensure your gift goes to the right place.